In the late ‘80s the Salt Lake City, Utah, firm then called Bonneville Media Communications sent out a holiday greeting to members of the press only. It was a cassette tape, some 28 minutes in length, titled OUR CHRISTMAS BEST TO YOU. On it an actor named Don Richmond (or Richman) calls around trying to gather up, for his “true love,” all the presents mentioned in the song “The 12 Days of Christmas.” The results of those calls are quite amusing, sometimes laugh-out-loud hilarious, but never insulting or profane—this isn’t Jerky Boys material. The good humor of (most of) those on the receiving end of the calls is a big part of why Richmond’s quest is so entertaining. That the tape is so heartwarming, however, has much to do with the interspersed interviews with a charming group of young tykes (whose descriptions of Santa Claus’s appearance is one of many sweet moments made all the more memorable by being so disarming) and notably with department store Santa Tony Zucca, who tells a poignant anecdote about a visit from sad child, whose despair was rooted in a recent tragedy. Taken aback, Zucca quickly regrouped and, in a flash of inspiration, offered the lad a bit of wisdom for the ages. The humility in Zucca’s retelling never fails to choke us up, all these years and innumerable playbacks later. Follow this link to Our Christmas Best to You. ‘But you were always a good man of business, Jacob,’ faltered Scrooge, who now began to apply this to himself. At his home in Astoria, Queens, New York on February 26, 1971, Louis Armstrong made what proved to be his final recording, a recitation of Clement Moore’s classic poem ‘The Night Before Christmas,’ later issued as a single by the Lorillard Tobacco Company. Two weeks following this session he suffered a heart attack and was in intensive care until May 5, when he insisted on going home. On July 5 he announced he was ready to perform again and requested his band convene for rehearsal. He passed away at 5:30 the next morning, July 6, 1971. This clip also includes the single’s B side, a raucous live version of “When the Saints Go Marching In” with Pops blowing a frantic horn and strutting through the lyrics as only this master interpreter could. Read by the poet at the lighting of the National Christmas Tree at the White House on December 1, 2005, Maya Angelou’s celebration of the ‘Glad Season’ is at once a radiant affirmation of the goodness of life and a beautiful holiday gift for people of all faiths. Beautiful and moving, Ms. Angelou’s words inspire us to embrace the peace and promise of Christmas, so that hope and love may once again light up our holidays and the world. The modern Santa can best be described as the creative offspring of innumerable artists and cultures, which each put their own spin on a real-life person, St. Nicholas of Myra. Plus: A Bit O’ Tree Trivia. Bing Crosby popularized secular Christmas music, and then some, with his 1942 recording of Irving Berlin’s ‘White Christmas’ (later re-recorded in 1947 in the version most often heard today). However, it fell to Bing’s buddy Frank Sinatra to make an art form of Christmas music, sacred and secular alike. The producers-arrangers-conductors who helped him shape this art, and what he brought to it on his own, are the subjects of this definitive appraisal of the Chairman’s magnificent Christmas outpourings. This link will take you to the 2013 Deep Roots update of the original essay published in the December 2008 issue of TheBluegrassSpecial.com. 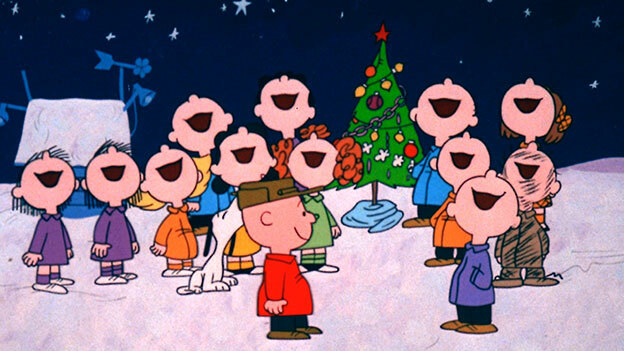 VINCE GUARALDI’s score for A Charlie Brown Christmas endures as a masterpiece within a masterpiece. Here’s how it all came to be back in 1964. A 50th Anniversary salute. On Sunday afternoon of December 6, 1964, NBC broadcast the debut of a new Rankin/Bass Productions (Thundercats, Silverhawks, Frosty the Snowman, Frosty Returns) animated holiday tale based on the popular seasonal song by Johnny Marks, “Rudolph the Red-Nosed Reindeer,” as adapted from a poem by Robert May. It featured an animated Burl Ives in the narrator’s role, and employed a stop-motion technique with puppets, similar to George Pal’s Puppetoons, but which they promoted under the trademarked name “Animagic.” An instant holiday classic, Rudolph garnered a 50 share of the audience, a remarkable number especially in an era with fewer viewing choices than today’s TV. This year marks the 50th anniversary of the TV special, and with it the arrival of a special Collector’s Edition DVD that is both the best of times and the worst of times. 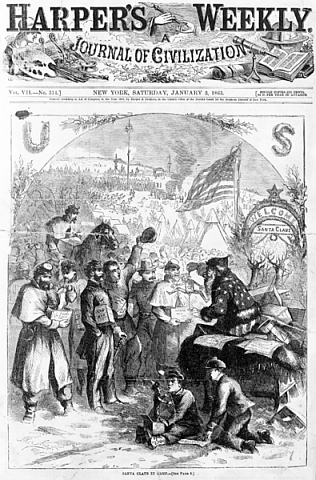 For a nation torn by civil war, Christmas in the 1860s was observed with conflicting emotions. Nineteenth-century Americans embraced Christmas with all the Victorian trappings that had moved the holiday from the private and religious realm to a public celebration. Christmas cards were in vogue, carol singing was common in public venues, and greenery festooned communities north and south. Christmas trees stood in places of honor in many homes, and a mirthful poem about the jolly old elf who delivered toys to well-behaved children captivated Americans on both sides of the Mason-Dixon line. 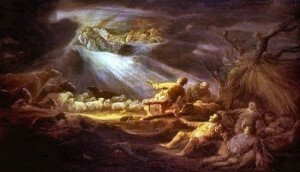 But Christmas also made the heartache for lost loved ones more acute. As the Civil War dragged on, deprivation replaced bounteous repasts and familiar faces were missing from the family dinner table. Soldiers used to “bringing in the tree” and caroling in church were instead scavenging for firewood and singing drinking songs around the campfire. And so the holiday celebration most associated with family and home was a contradiction. It was a joyful, sad, religious, boisterous, and subdued event. A year-by-year chronicle of how the observance of Christmas changed along with the fortunes of the warring armies, evolving before a shot was fired at Fort Sumter and flowering again following the events of 1865, notably the passage of the 13th Amendment on December 18, which abolished slavery, when ‘soldiers and civilians alike were ready to reunite with their families and again embrace Victorian holiday customs.’ Profusely illustrated with period drawings, most by Thomas Nast, from Harper’s Weekly. BENEDICTINES OF MARY, QUEEN OF APOSTLES, CAROLING AT EPHESUS— On this, their ninth album in toto and third devoted to Christmas music, the Benedictines of Mary, Queen of Apostles, offer a more than worthy followup to the Order’s Deep Roots 2015 Album of the Year, Easter at Ephesus. Produced by the sisters themselves in-house at the abbey they call home in Missouri, Caroling at Ephesus follows the template of their 2008 Yule classic, Christmas at Ephesus. That is to say the repertoire ranges from the Renaissance to the 19th Century, comes from all over the globe and includes well-known sacred seasonal fare and lesser known but equally compelling selections (such as the 16th Century Spanish folk carol “Verbum Caro Factum Est,” a riveting 1:23 of joyous polyphony rendered in Spanish [the liner booklet includes translations])—inclusiveness is no stranger to the good Sisters. The 24 selections clock in at slightly more than 57 minutes. JEFF COLLINS, THE KEYS TO CHRISTMAS— As the co-owner of Crossroads Marketing and Entertainment, Jeff Collins surely has his hands full. But he’s also a pianist and producer, in which capacity he has crafted a most pleasing, solidly traditional instrumental album of Yuletide favorites both merry and sacred. On many of these his piano voicings, revealing, to these ears, an affection for the melodicism and melodic inventiveness alike of Guaraldi, Evans and Brubeck, he’s backed by a basic band (electric and acoustic guitars, bass, B3, drums and percussion) and horns; but he also deploys a full orchestra for more triumphant efforts as heard on the soaring opening track, a cinematic-like overture comprised of “Hark! The Herald Angels Sing,” “O Come, All Ye Faithful” and “Joy to the World,” with his stately piano framed by dramatic washes of strings, blasts of heroic horns and, in the back of the mix, pounding drums in an arrangement punctuated by heraldic crescendos. It’s very Manheim Steamrollerish but more the exception than the rule. Witness the very next track, a ruminative “Baby It’s Cold Outside,” with its nuanced undercurrent of soothing strings, Collins’s minimalist piano and a silky, sensuous sax solo courtesy Sam Levine, whose contributions are one of the album’s highlights. VINTAGE PICK: HOT CLUB OF SAN FRANCISCO, COOL YULE–Working in different guises frees the Hot Club musicians from strict adherence to approaching everything as le jazz hot. So, for example, you get a soothing, sensual treatment of “Baby, It’s Cold Outside” complete with strings that give it a late night, saloon song vibe, although Paul Mehling’s guitar and Evan Price’s fiddle soloing adds a tasty Django-Grappelli feel. The flirty, engaging vocal duo delivering the goods here is billed as Duo Gadja, which is, in fact, Isabelle Fontaine and Jeff Magidson. Or you get “Don Rodolfo,” a version of “Rudolph the Red-Nosed Reindeer” reimagined as a smoldering tango (it even includes a segment from Bizet’s Carmen (really—the “Habanera” aria). Or dig a truly delightful take on Victor Herbert’s “March of the Toys” from the Babes in Toyland operetta that breaks out of its stately march beginnings into a full-on hot swing romp fueled by Mehling’s dazzling lead guitar, Evan Price’s colorful fiddling and Sam Rocha’s furious clacking bass steering this runaway sleigh. FROM ADVENT TO EPIPHANY: A SEASONAL MISCELLANY WITH CAROLS, MOTETS AND MORE by ROBERT HUGILL–It is that time of year when choirs and other ensembles produce CDs themed on the season. 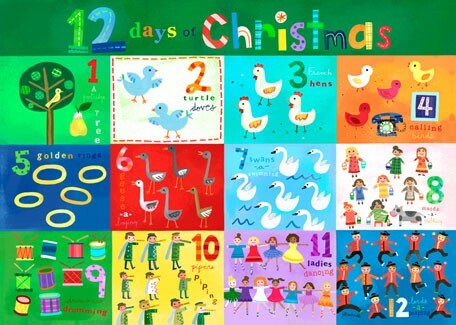 This year I have ten choral discs to choose from plus one non-choral disc, all aiming to put the particular ensemble’s stamp on the Christmas repertoire. For liturgical choirs, a Christmas disc often means the encapsulation of the ensemble’s regular Christmas repertory whilst for others it is the chance to do something a little different. All those under consideration bring an interesting twist to the repertoire. DAVID WOOD, A CHRISTMAS GIFT— It’s a spare, haunting, reverent but spiritually enriching, often joyous album, featuring only Mr. Wood and his rich acoustic guitar on 22 songs (you don’t get cheated here), three of which are the artist’s own originals (plus a 32-second prelude and 31-second postlude referencing the sacred carol “O Come, O Come, Emmanuel.” Note the postlude and prelude, though: former establishes the theme for what’s to come, the other brings the journey full circle. 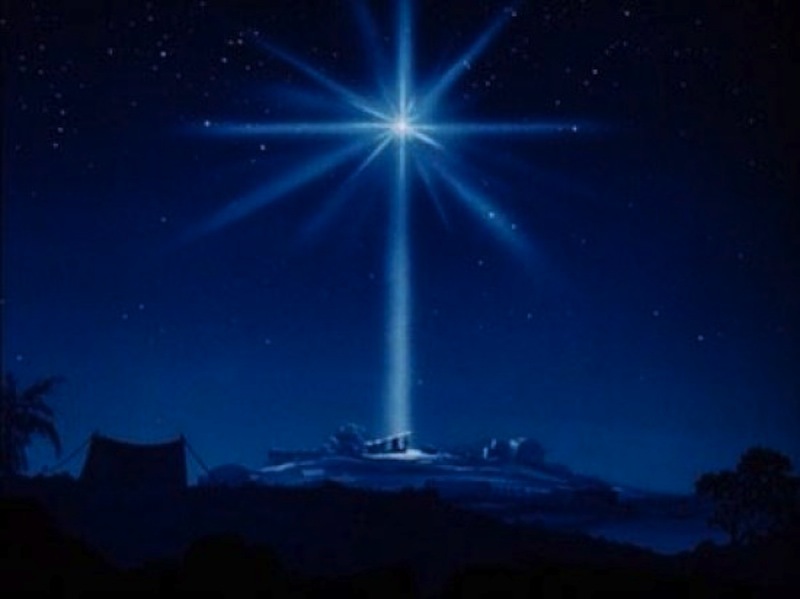 The journey is into the heart of the Christmas experience, not the commercial one (which makes the inclusion of Vince Guaraldi’s delightful “Christmas Time is Here” amusing indeed, as a tuneful, gentle reminder of what Christmas is all about, Charlie Brown). … Much like John Fahey’s more metaphysical The New Possibility, A Christmas Gift is, without qualification, a work of art, a great album for any season and for anyone willing to open his or her heart to that which makes us whole. 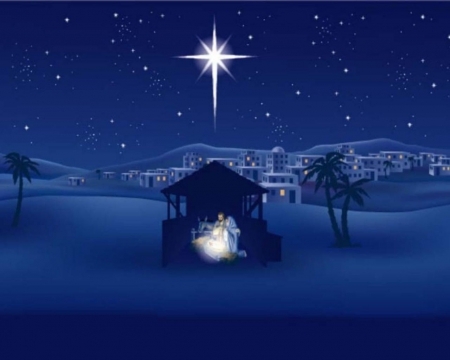 Perhaps the epitome of songs that celebrate the holiday of Christmas (as opposed to the Holy Day), this well-known carol is among the most well known, although, oddly, rarely recorded. In some versions, it barely acknowledges which holiday is being celebrated, but in all versions this is clearly a song of joyous celebration of the season, employing such phrases as “gay apparel,” “merry measure,” “joyous,” and “heedless,” plus the whimsical “Fa la la la la, la la la la” refrain. William Studwell also notes that the lyrics and music resemble songs from the 16th and early 17th century, especially the madrigals fashionable in the 16th century in England. The fabled song collector who wrote ‘I Wonder As I Wander’ recounts the moment of inspiration and how the song came into being in Murphy, North Carolina, in July 1933. Plus an online discussion centered on the meaning of the word ‘on’ry’ in the song’s first verse. Heralded as one of the most beautiful of all Christmas carols, “O Holy Night” was not an immediate success upon its debut in 1847. The lyrics were written by Placide Cappeau, a resident of Roquemaure, France. He was a commissioner of wines, and an occasional poet. It is said that Cappeau was about to embark upon a business trip to Paris when the local parish priest asked Cappeau to write a Christmas poem. On December 3, 1847, about halfway to Paris, Cappeau received the inspiration for the poem, “Minuit, Chrétiens.” According to William Studwell, when Cappeau arrived in Paris, he took the poem to the composer Adolphe Adam (1803-1856), an acquaintance of M. and Madam Laurey who were friends of Cappeau. Adam was at the peak of his career, having written his masterpiece, Giselle, only a few years before, in 1841. He was also the composer of over 80 stage works. Adam wrote the tune in a few days, and the song received its premier at the midnight mass on Christmas Eve 1847 in Roquemaure. Notwithstanding its intrinsic beauty and initial success, the song was later attacked by churchmen in Cappeau’s native France. The reason was not because of the nature or subject of the song. Rather, the attacks were based on the reputations of the lyricist and composer. Late in his life, Cappeau was described as a social radical, a freethinker, a socialist and a non-Christian. Indeed, he adopted some of the more extreme political and social views of his era, such as opposition to inequality, slavery, injustice, and other kinds of oppression. Fortunately, more rational perspectives have prevailed. By 1855, the carol had been published in London, and it has now been translated into many languages. Douglas D. Anderson, who is responsible for the essential website The Hymns and Carols of Christmas, tell the whole tale, and includes addendums on the song’s unusual cameo in the Franco-Prussian War and concerning its first radio broadcast, in 1906. What Americans hear when they listen to “God Rest Ye Merry Gentlemen” is not anything like what the English peasants meant when they first sang this song more than 500 years ago. Best selling author Ace Collins has done his research and tracked down the meanings of words fundamentally altered over time, with the end result being a wholesale distortion of the song’s original message. An appraisal and re-appraisal of the Harry Simeone Chorale’s woefully overlooked seasonal concept album, The Little Drummer Boy: A Christmas Festival, from which sprang the ubiquitous Yuletide classic single. A stirring achievement in and of itself, the album was released in 1958 and yet remains virtually unchallenged as a thoughtfully conceived, superbly executed mating of narrative and music. Apart from this, the song “The Little Drummer Boy” had quite an interesting journey of its own before Harry Simeone was introduced to it in 1958. In fact it dates back to 1941, when it came into being by way of American composer Katherine Kennicott Davis, who adapted the melody of an older Czech tune to lyrics she had written for a song she titled “Carol of the Drum.” The Trapp Family Singers—yes, of The Sound of Music fame—were the first to record it, in 1951; in 1957 the Jack Halloran Singers, recording for the Dot label, released an a cappella version of “Carol of the Drum” on their album Christmas Is A-Comin,’ but a projected single release of the tune never materialized. Producer Henry Onorati, who worked on the Halloran Singers project, pitched the song to his friend and fellow arranger Harry Simeone, who hired many of the Halloran Singers, added finger cymbals to it and deleted a difficult passage just before the last phrase. The rest, as the saying goes, is history, and we take it all the way back to Katherine Kennicott Davis’s original creation. This piece was originally published in Punch, or The London Charivari, the beloved British weekly magazine of humor and satire established in 1841 by Henry Mayhew and engraver Ebenezer Landells. Historically, it was most influential in the 1840s and 1850s, when it helped to coin the term ‘cartoon’ in its modern sense as a humorous illustration. It became a British institution, but after the 1940s, when its circulation peaked, it went into a long decline, closing in 1992. It was revived in 1996, but closed again in 2002. “How Mr. Chokepear Keeps a Merry Christmas” was published on December 25, 1841. 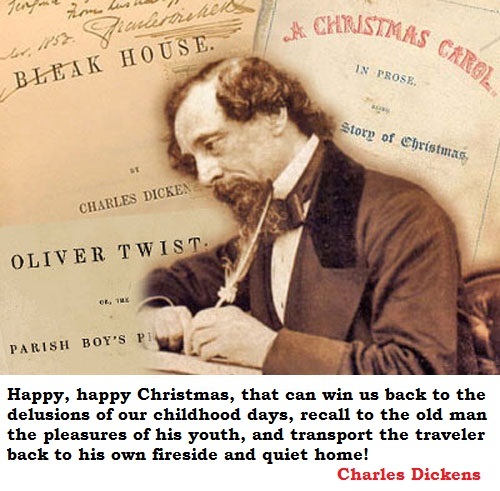 Its message, much as that of Dickens’s “A Christmas Carol,” which would be published two years later, on December 19, 1843, is, unfortunately, ever timely, perhaps even more so in this era of growing income inequality, attacks on the rights of workers, women and minorities, and the diminishment of the middle class. 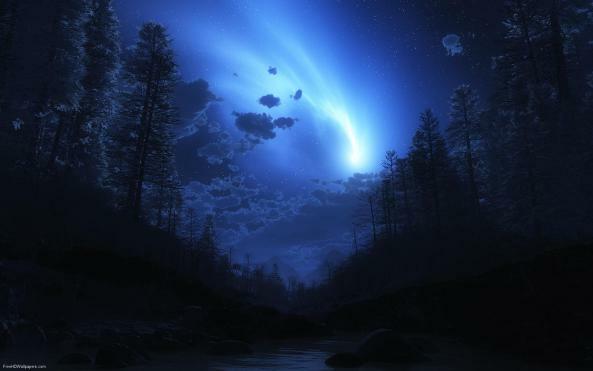 Deep Roots offers it in hopes its words will speak to the better angels of our nature. 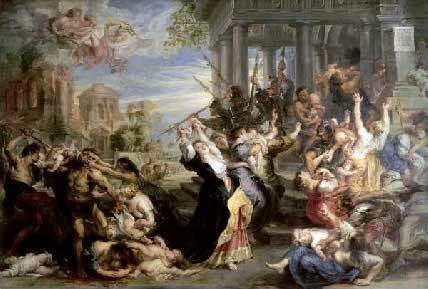 The origin of the haunting carol is traced to King Herod’s Slaughter of the Innocents as described in the Gospel of St. Matthew 2: 16-18. 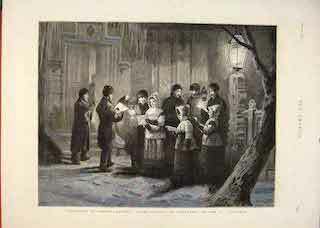 When James Lord Pierpont of Medford, Massachusetts, sat down at the piano in Simpson’s Tavern—a boardinghouse that owned the town’s only piano—and wrote a song he titled “One Horse Open Sleigh” in 1850, he wasn’t intending to give the world a jolly Christmas carol; in fact, in an undocumented but thus far irrefutable claim, scholars agree that the song was penned as a Thanksgiving treat for Pierpont’s father’s Sunday School class. After Justin Wilde and his songwriting partner Doug Konecky had finished composing ‘It Must Have Been the Mistletoe,’ their dream of contributing a classic seasonal standard to the Christmas celebration met harsh reality: it was pitched and turned down some 376 times. Then BARBARA MANDRELL recorded it, and lo, dreams did come true. “Do You Hear What I Hear?”, one of the few Christmas songs written after 1960 to become a true seasonal standard on a par with classics such as “White Christmas,” was the product of an interfaith couple’s mutual concern for the fate of the world during the Cuban missile crisis in 1962. That listeners and critics often missed its true intent was an oversight that gnawed at the songwriters. Illustration with this entry by Phillip Light from his website, The Art of Phillip Light: Do You Hear What I Hear? Good King Wenceslas’ tells a story of Good King Wenceslas braving harsh winter weather to give alms to a poor peasant on the Feast of Stephen (the second day of Christmas, December 26). 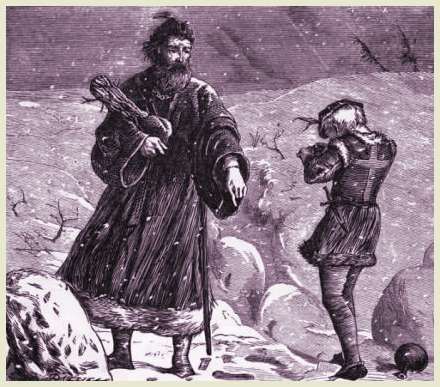 During the journey, his page is about to give up the struggle against the cold weather, but is enabled to continue by following the king’s footprints, step for step, through the deep snow. The legend is based on the life of the historical Saint Wenceslaus I, Duke of Bohemia (907–935). Writing circa 1119, Cosmas of Prague describes the King’s transformative experience, exactly how he earned his regency and how he became the subject of a beloved Christmas carol written in 1835 by English hymn writer John Mason Neal and his music editor, Thomas Helmore. The history of two beloved Yuletide carols, ‘Angels We Have Heard On High,’ which has its origins in 18th Century France, and ‘In The Bleak Midwinter,’ based on a Christina Rossetti poem written before 1872, published in 1904 and set to Gustva Holst’s ‘Cranham’ in 1906. The words for the Christmas carol we know as “Silent Night” were first set down on paper in 1816 in the tiny Alpine village of Mariapfarr, Austria, by Fr. Joseph Mohr. Two years later, music was added by Franz Xaver Guber and the song was performed for the first time in the Alpine village of Oberndorf, Austria, on Christmas Day, 1818. The fame of this composition spread throughout the world and 181 years later, people are still touched by both the simplicity and the strength of its message. In a five-part opus, Dr. David Nelson recounts the fascinating history behind the creation of ‘Silent Night’ and also uncovers Franz Gruber’s personal statement explaining the song’s origins. You know Dasher and Dancer and Prancer and Vixen… But do you know the real-life tragedy that spurred ROBERT MAY to write a poem for his four-year-old daughter that became a cultural and multimedia phenomenon, especially after his brother-in-law JOHNNY MARKS turned it into a song? Rudolph, with his nose so bright, takes flight. Songwriter FOREST HAIRSTON and his friend Marvin Gaye are credited as co-writers of ‘I Want To Come Home For Christmas,’ a song Gaye recorded in 1972 around the time he was working on his Trouble Man album. The song was supposed to be released as a Tamla single that year, but was withheld and did not see the light of day until 1990’s four-CD box set, The Marvin Gaye Collection. How the song came to be, what Marvin did with it, and its bittersweet aftermath are the focus of Hairston’s warm reminiscence. Time was, with most of us, when Christmas Day, encircling all our limited world like a magic ring, left nothing out for us to miss or seek; bound together all our home enjoyments, affections, and hopes; grouped everything and every one around the Christmas fire; and made the little picture shining in our bright young eyes complete. And is our life here, at the best, so constituted that, pausing as we advance at such a noticeable milestone in the track as this great birthday, we look back on the things that never were, as naturally and full as gravely as on the things that have been and are gone, or have been and still are? If it be so, and so it seems to be, must we come to the conclusion that life is little better than a dream, and little worth the loves and strivings that we crowd into it? 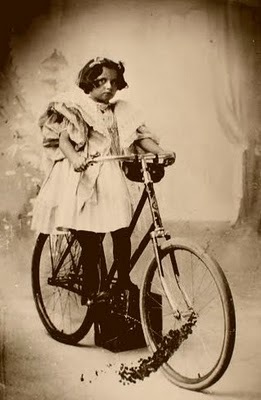 In the September 21, 1897 edition of the New York Sun, editor FRANCIS PHARCELLUS CHURCH responded to eight-year-old VIRGINIA O’HANLON’s query ‘Is there a Santa Claus’ with what became the most famous newspaper editorial in American history. Herein the complete Church response plus additional background on the dramatis personae, with illustrations and a video of the elderly Virginia O’Hanlon reading Mr. Church’s response to her query to a group of children. A quintet of timeless, inspired, animated Christmas tales. The feature attractions are: A pair of vintage Walt Disney Silly Symphonies—‘Santa’s Workshop’ (from 1932, with a soundtrack featuring FRANZ SCHUBERT’s ‘March Militaire’; and ‘The Night Before Christmas,’ the 1933 sequel to ‘Santa’s Workshop’; ‘Rudolph the Red-Nosed Reindeer’ (1944), the last cartoon ever produced by MAX FLEISCHER; a true oddity in ‘The Snow Man In July’ (1944). Created in Germany under the Nazi regime, this animated short was written by cartoonist Horst von Möllendorff and animated by Hans Fischerkoesen. It was animated in Potsdam, Germany, near UFA’s Neubabelsberg Studios. The original cartoon is in color but was transferred to black and white after the U.S. seized it during WWII. The story gets weirder from there. ; ‘Santa’s Surprise’ (1947)– Five children from around the world follow Santa home on Christmas Eve, and decide to give him some extra help around the workshop. The voice talent here includes MAE QUESTEL, otherwise known as the voices of Little Audrey, Olive Oyl and Betty Boop; ‘The Snowman,’ the 1982 animated adaption of Raymond Briggs’s award winning 1978 picture book was an Academy Award nominee and remains one of the most haunting of all seasonal films (our version includes the David Bowie introductory scene that was cut from the American release). Old Papa Panov, the village shoemaker, stepped outside his shop to take one last look around. The sounds of happiness, the bright lights and the faint but delicious smells of Christmas cooking reminded him of past Christmas times when his wife had still been alive and his own children little. Now they had gone. His usually cheerful face, with the little laughter wrinkles behind the round steel spectacles, looked sad now. But he went back indoors with a firm step, put up the shutters and set a pot of coffee to heat on the charcoal stove. Then, with a sigh, he settled in his big armchair. It was winter-time; the air was cold, the wind was sharp, but within the closed doors it was warm and comfortable, and within the closed door lay the flower; it lay in the bulb under the snow-covered earth. One day rain fell. The drops penetrated through the snowy covering down into the earth, and touched the flower-bulb, and talked of the bright world above. Soon the Sunbeam pierced its way through the snow to the root, and within the root there was a stirring. “Come in,” said the flower. A collection of vintage Christmas poems and classic Christmas songs on video. This year’s featured poets include ALFRED, LORD TENNYSON; RICHARD SOUTHWELL; DOLLIE RADFORD; CAROLINE HAYWARD; and EDGARD ALBERT GUEST. Musical interludes are provided by THE POGUES (‘Fairytale of New York’); THE PRETENDERS (‘2000 Miles’); THE ROYAL GUARDSMEN (‘Snoopy’s Christmas’); THE SALSOUL ORCHESTRA (‘Christmas Medley’); and THE SUPREMES (‘Little Bright Star’). When did the tradition of gospel artists recording Christmas carols begin? One is inclined to answer that Mahalia Jackson set the standard in 1950 with her Apollo recording of “Silent Night,” but the tradition goes back much further, more than two decades before the release of Mahalia’s disc. In truth, Christmas recordings by African American sacred artists predate gospel by several years. Our gospel editor Bob Marovich, of the Black Gospel Blog, takes a look at the history of Christmas-oriented gospel music in America. *In THE TWELVE CLASSIC GOSPEL SONGS OF CHRISTMAS, Bob Marovich selects his favorite dozen Yuletide gospel songs. 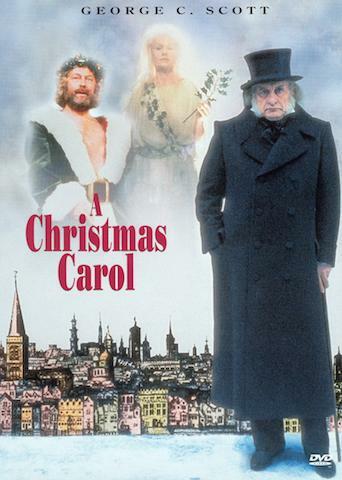 In Clive Donner’s 1984 TV adaptation of Charles Dickens’s A Christmas Carol, GEORGE C. SCOTT offers a definitive Ebenezer Scrooge in a production solid from beginning to end, with an evocative score by the brothers Bicat. *FROM THE INKWELL: AN ANIMATED CHRISTMAS: Reviews of four essential animated Christmas shorts: A Charlie Brown Christmas, Frosty the Snowman, Disney Animation 7: Mickey’s Christmas Carol, The Snowman. NO WORDS NECESSARY: LEROY ANDERSON & JOHN FAHEY AT CHRISTMAS—A new John Fahey volume from Fantasy, Christmas Guitar Soli, spurs an update of our previously published review of A Leroy Anderson Christmas and the Rhino two-fer of Fahey’s pair of Christmas album recorded for his own Takoma label, The New Possibility: John Fahey’s Guitar Soli Christmas Album & Christmas with John Fahey, Vol. II. CHRISTMAS IN ANTIQUITY, EXQUISITELY RENDERED—As related by THE BALTIMORE CONSORT in Bright Day Star, and ANONYMOUS 4 in Wolcum Yule. MANDY BARNETT, Winter Wonderland–Despite a boatload of critical acclaim over the years, the expected breakthrough commercial smash has eluded Mandy Barnett. It’s unlikely a Christmas album will do what her two studio albums from the ‘90s could not do, but if one could, Winter Wonderland would be it. It is, quite simply, a virtuoso performance of sensitive, nuanced vocalizing, as good as it gets, in service and bringing fresh energy to a clutch of beloved seasonal standards. KATHLEEN BATTLE and CHRISTOPHER PARKENING: Angels’ Glory—To the energy and intellect the marked his playing in his early professional career, Christopher Parkening has over time (notably since returning from a self-imposed retirement in the early ‘80s, during which he became a devout Christian) added restraint as another essential ingredient to his approach. He uses it as effectively as the late film director Stanley Kubrick used silence, making it an identifiable element of his art, a near-sensuous presence as a defining feature of the soundscapes he constructs with strings. It is one of the many compelling aspects of his exceptional pairing with the temperamental lyric soprano Kathleen Battle on the seasonal fare comprising Angels’ Glory. 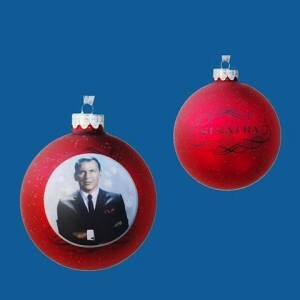 CLASSIC BENNETT, CLASSIC CHRISTMAS: The Season Brings Out The Best In Tony—Eighty-six years old as of August 3, and still swinging and crooning with impeccable stylishness and über-coolness, TONY BENNETT is making a run at his buddy Frank Sinatra’s heretofore-unchallenged supremacy in both the quantity and the quality of Christmas recordings in their respective catalogues. This year’s brings a splendid new anthology of the classic crooner’s Yuletide outpourings, The Classic Christmas Album, which we consider along with a seasonal classic of a different name, 1968’s reissued Snowfall. MARY J. BLIGE, A MARY CHRISTMAS—The millions of fans that have been buying Mary J. Blige’s albums since her 1992 debut haven’t been buying her celebrity; they’re moved by a voice with deep roots in classic soul, gospel and R&B and the intense personal commitment she makes to her lyrics. These attributes are in abundant evidence on A Mary Christmas, which is nothing less than far and away the best new Christmas album of a strong 2013 season. BLUES, BLUES CHRISTMAS VOL. 3, et al.—A new volume of Document’s invaluable Blues, Blues Christmas anthology joins its preceding volumes and Legacy Recordings’ 2012 release, Death Might Be Your Santa Claus, in conjuring a Yuletide of many hues beyond the blue. GLEN CAMPBELL, THAT CHRISTMAS FEELING—Finally, a domestic CD reissue of Glen Campbell’s 1968 Al De Lory-produced (-arranged-conducted) That Christmas Feeling. Two bonus tracks from a 1969 multi-artist Yule anthology have been added to the original album’s 11 tracks to add even more luster to this most heartfelt, soulful addition to the Christmas album canon. Thus a classic restored. CANADIAN BRASS, CHRISTMASTIME IS HERE–With a discography of more than 100 albums to its credit, Canadian Brass has proven it is never at a loss for clever concepts in delivering music from across the ages in a different fashion. The quintet’s latest holiday album, Christmas Time is Here, is a fine example of this ethos at work as the beloved quintet honors the music of animated Yule specials (notably Vince Guaraldi’s score for A Charlie Brown Christmas) and the arrangements of former Brass members Luther Henderson and Brandon Ridenour. JOHNNY CASH: CLASSIC CHRISTMAS ALBUM— For all his well-publicized spiritual backsliding, Johnny Cash was a man strong in his Christian faith, and Christmas offered him an opportunity to express that faith most devoutly. Many of the songs featured here reference the Christ child’s birth and the hope of redemption and salvation He offered, as well as His legacy of love. In short, family and faith are the major themes here, so if you’re looking for something ornery, better take it on down the line. THE CELTS, Christmas With The Celts–Conceptually taut and flawlessly executed with all hearts on deck, Christmas With the Celts at times stretches the boundaries of seasonal music but never loses sight of seasonal verities. It will endure. RAY CHARLES: The Spirit of Christmas—Brother Ray does Christmas pretty much as you would expect—in his own way, never predictably, and always in the spirit of the season as only he can define it. CHRISTMAS THE MOUNTAIN WAY (Various Artists)—A CD/DVD combo from a show earlier this year in Pineville, Kentucky, featuring some of the top names in traditional bluegrass celebrating the true meaning of Christmas in familiar carols and a couple of new tunes written especially for this occasion. DALE ANN BRADLEY, STEVE GULLEY, MARTY RAYBON, COMMON STRINGS, CUMBERLAND RIVER, MIKE SCOTT and DEBBIE GULLEY are among the impressive roster of top-tier bluegrassers who make this an essential Christmas offering from the Rural Rhythm label. NAT KING COLE: The Christmas Song, Like No Other Christmas Song—Christmas is illegal without Nat King Cole, right? Surely it would violate the laws of this land for a season to pass without the reassuring tones of the man with the smoky grey voice blessing us with a comforting “Merry Christmas…to you,” his annual benediction reaffirming warm tidings of home, family and seasonal traditions, unsullied by cynicism, untouched by post-modern angst. BING CROSBY and LOUIS ARMSTRONG: a Yule without Der Bingle or Satchmo would be comparable to finding a lump of coal in the stocking on Christmas morn. DALLAS WIND SYMPHONY, Horns for the Holidays— If you are a lover of Christmas music—carols, popular songs, and all manner of medleys and clever arrangements of such—and you miss this extraordinary recording by the first-rate Dallas Wind Symphony, then your holiday listening stands to be just a bit more dull, less festive, and more ordinary than it could have been. This is a terrific program, in exemplary sound, that botht celebrates the Christmas music tradition even as it exemplifies the best of the wind ensemble genre. DORIS DAY, Complete Christmas Collection–Wonderful technique is at work in all of Day’s recordings, but what she wrought in her Christmas material is something beyond technique, something abiding in the exalted realm of the heart, where pure feeling produces the peace that passes all understanding. This is beautiful. BOB DYLAN, Christmas From the Heart By Billy Altman—I think it’s safe to say that, were he so inclined, Bob Dylan would probably be having himself a merry little “Ho ho ho” surveying all the furrowed-brow commentary surrounding the “meaning” of his Christmas In The Heart. The CD finds Dylan delivering disarmingly straightforward renditions of fifteen Yuletide tunes, all of which have been part of our collective consciousness since everyone’s childhood. As he’s periodically demonstrated throughout his near half-century in the public eye, Dylan is an artist who at his core really does understand and respect the value of tradition. ELLA FITZGERALD: And A Swinging Christmas To You, Too—Remastered and reissued in 2002, the First Lady of Song’s only album-length collection of secular Christmas songs ranks with the finest efforts of her gifted peers, including those of her staunch fan and supporter Frank Sinatra. ARETHA FRANKLIN: Making Believers Of Us All—Whether live or in the studio on Joy To The World, Aretha Franklin is never far from the gospel highway–the church infuses everything she does here. So mark this one a seasonal keeper, by the sheer force of Aretha’s unassailable artistry and bountiful spirit. She’ll make a believer of you, in many ways. THE GATHERING–It has a certain magic about it, this music, in the seeming ease of its instrumental virtuosity coupled to a spirit of friendship and common cause—there is not a moment on The Gathering that doesn’t sound free and impassioned, musicians having a great time playing with each other and giving their hearts to the task at hand. A memorable Christmas moment by way of the gathered artistry of Laurelyn Dossett; the Carolina Chocolate Drops’ Rhiannon Giddens; the John Hartford and Nashville Bluegrass Bands’ Mike Compton; multi-instrumentalist Joe Newberry; and double-bassist Jason Sypher. MERLE HAGGARD: Making a Stand for Things That Matter—The world of 1973 wasn’t in nearly as bad a shape as it is now when Hag penned his devastating chronicle of a family on the edge of financial collapse, “If We Make It Through December,” but if ever a sentiment was appropriate for December 2011, with unemployment seeming intractable, and the economy at home and even more so abroad still staggering, it is this. The song was chilling enough back then, but now it seems eerily, unfortunately prescient—Hag saw it all coming. HEREFORD CATHEDRAL CHOIR, Christmas from Hereford—A lovely and unusual disc, this cozy, gentle and varied collection of Christmas music from Hereford Cathedral is broken into three sections: Advent, Christmas, and Epiphany. The music ranges from the 14th-century Resonemus laudibus, a joyous piece arranged with a fanciful organ part by David Willcocks to offset the rigidity of the medieval melody, to a work by John Tavener (his glorious—and only—brief masterpiece, The Lamb), with stops in between, in each of the three sections, for one of Mendelssohn’s short but imposing Op. 79 motets. JACKSON 5: ULTIMATE CHRISTMAS COLLECTION—The original Jackson 5 Christmas Album, though less introspective and minus the spirituality of Yuletide long players by labelmates Smokey Robinson & the Miracles and Stevie Wonder, is a classic Christmas album nonetheless simply for doing what the Jacksons were doing so well back then—speaking to their audience with a lot of heart and abundant, infectious energy. The original 11-song LP is remembered for its high spirits and hard charging performances; the Ultimate version of the J5 Christmas album is fleshed out with spoken Season’s Greetings from four of the five brothers (including Michael), and six other musical tracks. The original album, though, remastered and reissued on CD in 1993, will do just fine for those on a budget or preferring an undiluted Jackson 5 holiday bonanza. ALAN JACKSON: Right At Home For Christmas—Two very different approaches to Christmas music are defined in Alan Jackson’s Yuletide long players. Honky Tonk Christmas, released in 1993, came near the beginning of Jackson’s hit-filled career, and it emphasizes his reverence not only for the season but for the style of country music he prefers and has made his trademark when other artists of his generation and younger are recycling ’80s arena rock riffs. Let It Be Christmas, from 2002, is from an artist at the top of his game, assured enough to broaden out his basic band with orchestra, strings and a large background chorus, adopting a soft, dreamy pop ambience in stark contrast to the stripped down approach of its holiday predecessor. GEORGE JONES & TAMMY WYNETTE: CLASSIC CHRISTMAS ALBUM— Give compilation producer Gregg Geller credit for bringing a sense of humor to the task of compiling tracks for the George Jones & Tammy Wynette Classic Christmas Album entry. Granted, he didn’t have a Sinatra-like wealth of holiday outpourings from which to choose, so maybe it’s not so surprising that, apart from the traditional favorites here, the album breaks down to Possum taking the lead on songs despairing of the holidays bringing anything but misery and Tammy balancing the scales with positive, upbeat or inspirational forecasts. B.B. KING: A SOUL EVER MORE GRATEFUL FOR WHAT IT KNOWS OF LOVE—The interesting fact about B.B. KING‘s first Christmas album is how the sum of the parts adds up to something greater than what went down in Maurice, Louisiana’s Dockside Studios in June 2001. Taken individually, the performances on the album are warm and ingratiating enough, appropriate to the season, some treated in a lighthearted manner, a couple of blues getting down into the depths of feeling; but when it’s all over, a spell lingers. There’s something special about the imprint B.B. puts on these songs–the conviction in his voice, the personality he projects throughout, Lucille’s sunny tone—and when that’s coupled to his road band’s high spirited accompaniment the end result is a model Yuletide blues album that sneaks up on a listener. SUFFUSED WITH BEAUTY–NANCY LAMOTT and beauty were on intimate terms. It radiated from her warm personality, resonated in her tender vocals, and suffused the recordings she made before succumbing to cancer in 1995 at age 43. Disc jockey Jonathan Schwartz declared Lamott the finest cabaret singer since the Chairman of the Board, praise well earned by Lamott and thoughtfully dispensed by Schwartz. Like Sinatra, Lamott sought out literate songs with a folksy quality–the settings may have been urbane, but the feelings were universal. The Great American Songbook has rarely had so effective an advocate as Nancy Lamott. Her lone Christmas album, Just In Time for Christmas, is a crash course in all that was remarkable about this gifted artist. GOOD TIDINGS FROM LITTLE MISS DYNAMITE: Brenda Lee Makes Christmas Memorable—From “Rockin’ Around the Christmas Tree” to “Papa Noel” to “Christmas Time Is Near,” the 18 tracks comprising The Best of Brenda Lee: The Christmas Collection, so unassuming in its design, assay a wide range of feelings, and illustrates anew the great synergy between producer Owen Bradley and artist BRENDA LEE. All those enduring pop and country hits were no accident, and the performances herein, though less well known, are standing the test of time quite well, too, thank you. VINTAGE PICK: MARTY ROBBINS, CHRISTMAS WITH MARTY ROBBINS— Every emotion of Christmas, from jubilation to reverence, is in the wheelhouse of one of the greatest country singers of the 20th Century. Equally important, the Christmas narrative, be it about the Christ child’s birth or family reunions or the joy of children on Christmas morn, brought all of this legend’s strengths to the fore. Marty Robbins didn’t let himself or anyone else down on his 1967 Yuletide gem, produced by Bob Johnston and featuring the Jordanaires on backing vocals. LOS ROMEROS, CHRISTMAS WITH LOS ROMEROS— In a world whose centrifugal globalizing powers are stretching the fibers of closely-knit tribal units to breaking point, the final days of December don’t just mark a time of stability, but of unity: Having mostly sacrificed its religious meaning in favor of commerce, Christmas, to most, has retained its significance by remaining a family ritual. So it should seem only consequential that Los Romeros should finally record their first Christmas album after half a century at the pole position of the guitar quartet, a genre they have made their own like few others. NICK LOWE, QUALITY STREET: A SEASONAL SELECTION FOR ALL THE FAMILY— Nick Lowe might not immediately spring to mind as an artist you’d expect to find releasing a Christmas album—he can, after all, come off as curmudgeonly and unsentimental, much closer in spirit to Ebenezer Scrooge than to Bob Cratchit. But when his new label home, Yep Roc, suggested a holiday project, he took it under advisement and shortly thereafter bought in. The result, Quality Street, fulfills his vision, and comes complete with a subtitle that might strike some fans as being quintessentially snarky in a Nick Lowe kind of way but is in fact completely sincere. He keeps Christmas well. OF SOUL, AS AN AFFIRMATION OF OUR COMMON HUMANITY: THE ULTIMATE MOTOWN CHRISTMAS COLLECTION—The best reason to buy all the classic ‘60s Christmas albums from legendary Motown artists such as the Supremes, Smokey Robinson & the Miracles, the Jackson 5, Stevie Wonder, and the Temptations, among others, is because those albums are so good in and of themselves. However, the two-CD, 51-track The Ultimate Motown Christmas Collection is pretty great on its own, too, in that it serves up some of the finest performances from Motown greats along with some worthy installments by good artists who followed the label’s Golden Era. Make no mistake, though—the big names carry this double-disc set, and they alone elevate it to the rank of Yuletide essentials. MARIA MULDAUR, CHRISTMAS AT THE OASIS— Initially available only at her live dates, then offered only on her website, Maria Muldaur’s Christmas the Oasis (recorded in 2010 at San Francisco’s now-defunct Rrazz Room) is now available on Amazon as a manufactured-on-demand CD-R—whatever it takes to get it into wider circulation, because it’s one grand, swinging affair, as rollicking a Yuletide celebration as one could ask, with our gal cutting loose in splendid, attitudinous voice throughout and a powerhouse band kicking it behind her on some vintage holiday fare, including three chestnuts most associated with Louis Armstrong, as well as some evergreens from some of the female blues singers of yore she admires so much. MICHAEL MARTIN MURPHEY, ACOUSTIC CHRISTMAS CAROLS: COWBOY CHRISTMAS II—What can you say? At every step Murph makes all the right moves and delivers a Christmas message in a style all his own, as intimate in its concept and execution as it is expansive in its larger meaning. This is a big-time album, in a quiet way. MARK O’CONNOR, AN APPALACHIAN CHRISTMAS—Comprised largely of superb, previously released performances, An Appalachian Christmas is, says O’Connor, in “the spirit” of the mountain region he sometimes calls home. Purists may indeed agree with an Amazon reviewer who can’t spell Appalachia but decries this as being Appalachian in stock cover photo only; but even taking such objections into account, what’s right here is the spirit invested by some of today’s finest musical artists in lending virtuosity, heart and soul to these proceedings. Merry Christmas to all, and to all a good night. THEN, NOW, ALWAYS PATTI PAGE—Considering a consummate stylist’s two fine Christmas albums, released almost fifty years apart, 1955’s Christmas With Patti Page and 2002’s Sweet Sounds of Christmas, on which she reduces age to irrelevance. THE PERSUASIONS: IN ALL WEATHERS, GLAD TIDINGS—Given how fundamental the church has been to just about everything the Persuasions have sung in their long career, it’s rather amazing that it took this incomparable a cappella quintet until 1997 to get around to a Christmas album. What’s important, though, is that they did get around to it, because it’s everything you would expect of a Persuasions Christmas album and more. ELVIS PRESLEY: The King Keeps Christmas Well—Despite reports of Elvis’s blasé attitude going into those 1957 and 1971 sessions, however, a listener would be hard pressed to hear anything on the finished products but warm, committed vocalizing on the traditional carols and spirituals and feisty, carefree spirit on the rock ‘n’ roll and blues numbers. THE ROYS, BLUEGRASS KINDA CHRISTMAS— This year’s crop of new holiday releases has been one of the weakest in recent memory, but even in the strongest years the Roys’ delightful Bluegrass Kinda Christmas would be a standout. THE BRIAN SETZER ORCHESTRA, ROCKIN’ RUDOLPH— Hotshot guitarist and inveterate rocker Brian Setzer, who has been responsible for some of the liveliest Christmas music of recent times, returns to the Yuletide fold in 2015 with Rockin’ Rudolph, his first holiday album since 2005’s rousing Dig That Crazy Christmas, and his sixth seasonal-centered long player in all. His bold, brassy 18-piece orchestra is in fine shape here and gets considerable air time, if you will, given that almost half the tunes are instrumentals on which Setzer turns them loose. ‘ZAT YOU, SANTA CLAUS?—BRIAN SETZER puts his cat clothes on and rocks the Yule, againChristmas 2009 brings another Brian Setzer Orchestra Yuletide blast in Ultimate Christmas Collection, a compilation boasting some of the swingin’est tunes from his two holiday long players in a collection further sweetened by a DVD, Christmas Extravaganza, featuring no less than 25 songs from a near-two-hour performance. IF IT’S CHRISTMAS, IT MUST BE THE SKAGGS FAMILY, TWICE OVER—Seven years after the release of the first Skaggs Family Christmas album, a tasty collection of a dozen sacred and secular carols, the whole clan returned last year with Volume Two of A Skaggs Family Christmas, an impressive triple-gatefold package containing a 10-song CD of studio and live performances plus an accompanying two hour-twenty minute DVD of the entire Skaggs Family Christmas Show, recorded live in Nashville. SOLACE AND LAUGHTER IN A VALLEY OF TEARS—Originally released at the end of a tumultuous 1968, Atlantic’s SOUL CHRISTMAS collection, featuring southern soul greats such as Otis Redding, William Bell, Carla Thomas, Clarence Carter, Booker T. & the MG’s, and others, came along with a message of love, conciliation and reconciliation, delivered with conviction, warmth, inclusiveness and a dollop of humor. It was recorded by black and white musicians in studios in New York and Nashville, but mostly in Memphis, not far from the Lorraine Motel, where the Rev. King lost his life. Soul Christmas abounded in hope without ignoring reality, offered solace and laughter in a valley of tears. It still does; you just have to work a little harder to get there. THE MYTHIC WEIGHT OF PHIL SPECTOR’S CHRISTMAS GIFT By Billy Altman—Few holiday albums carry the mythic weight of 1963’s A Christmas Gift For You From Phil Spector, wherein Spector sought to put his personal stamp on Christmas music by “treating” a batch of well-worn Yuletide classics to his signature “Wall of Sound” production style. Here’s what happened next, when tragic history intruded on the young producer-titan’s dream project. CENTURIES OF SENTIMENT AND CELEBRATION By Christopher Hill–STING, If On A Winter’s Night; SUSAN MCKEOWN & LINDSEY HOMER, Through the Bitter Frost and Snow: Every once in a while, an artist happens down the Christmas trail through whose senses we can feel the season freshly; combine that with centuries of festive associations, and you can really have something. BARBRA STREISAND: CLASSIC CHRISTMAS ALBUM— When it came time to compile a setlist for Barbra Streisand’s Classic Christmas Album entry, producers Didier C. Deutsch, Jeffrey James and Tim Sturges probably couldn’t believe they were getting paid for this task. Babs has but two Christmas albums in her catalog, separated by 34 years’ time, but in their combined 23 tracks the discs offer a bounty that must have made the producer team giddy. This is Streisand at her apex in recordings made almost three-and-a-half decades apart. Make no mistake–she’s the classic here, and a classy one at that. 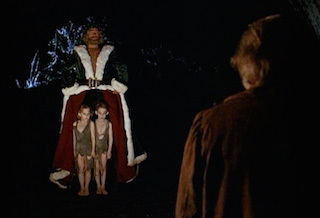 VINTAGE PICK: THE THREE SUNS, A DING DONG DANDY CHRISTMAS— This is the Three Suns’ fourth Yuletide effort. The first, The Three Suns Present Your Christmas Favorites, was released as a set of three 45 RPM singles in 1949, followed in ’52 by the 10-inch Christmas Party, which in turn was followed, in ’55, by the 12-inch LP Sounds of Christmas. A few of the tunes on the latter Christmas discs were reprised for 1959’s Ding Dong, but that’s where the similarities end. At this juncture it sounds like the Suns had decided to go for broke and deconstruct these beloved seasonal songs, then put them back together in a way no one had heard them before. If you can’t stand your Yuletide fare treated irreverently, then A Ding Dong Dandy Christmas is not for you. But the Suns do this all in good taste and with respect for the songs—this is not insulting, brain-dead fare but rather well considered and well played standards given, shall we say, a jet-age twist. DONNA ULISSE, ALL THE WAY TO BETHLEHEM— From the first brisk, fingerpicked acoustic guitar notes on the album opening hosanna, “I See the Light of the World,” to the near-identical melody and spirit summoned by the fiddle, mandolin and pennywhistle on the closing exaltation, “Morning In Bethlehem,” and the vignettes and music that fall in between these bookends, Donna Ulisse’s song cycle All the Way to Bethlehem is not merely close to perfection, it’s a work of art. THE VENTURES, The Ventures’ Christmas Album—Originally released in 1965, The Ventures’ Christmas Album is an essential holiday gem no serious fan of seasonal music can be without. The greatest of all rock ‘n’ roll instrumental groups (having sold more than 100 million records and still playing to enthusiastic audiences the world over), the Ventures were no strangers to the concept album, and they made the most of this one. The particular conceit here is that every song begins with a few bars of a current or recent hit that might otherwise have made it onto another Ventures album or even have already been a hit for the group—such as its career launching 1960 million seller “Walk, Don’t Run,” which opens this album before slyly transitioning into “Sleigh Ride” as Edwards ratchets up the reverb and deploys his wang bar periodically for effect. 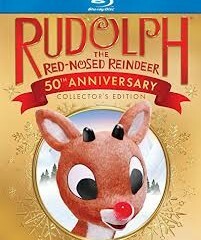 The bluesy start of Johnny Rivers’s version of “Memphis” is but prelude for a stomping rendition of “Jingle Bell Rock.” The trebly opening licks of the Beatles’ “I Feel Fine” make for an exciting intro to… “Rudolph the Red-Nosed Reindeer.” Get it? Then get it! RHONDA VINCENT, CHRISTMAS TIME— It was 2006 when last we heard from Rhonda Vincent at Christmas time, but she returns in style with, yes, Christmas Time, featuring a delightful dozen tunes including four Vincent originals (one of which, “Christmas Time at Home,” was re-recorded for this project after appearing first on the 2006 album, Beautiful Star: The Christmas Collection). Her stellar band, The Rage, is supplemented by the likes of Stuart Duncan on fiddle, the increasingly visible Sierra Hull on mandolin, Michael Rojas on piano and Mike Johnson on steel, all of whom make this a holly, jolly Yuletide evergreen of a seasonal album. ANDY WILLIAMS: CLASSIC CHRISTMAS ALBUM­—Let it be said that the late Andy Williams knew how to keep Christmas well. The man recorded no less than eight Yule albums, three of which provide the bulk of the material for this Classic Christmas Album release. Given that most of the tracks fall in that period when Williams was not only hot on the charts but also hosting his own wildly popular TV variety show, he’s in peak vocal form here. It’s a most wonderful time, this album. WINTERBLOOM, TRADITIONS REARRANGED—It’s unclear at this point exactly how down with Father Christmas the four impressive gals of Winterbloom really are, but they sure have made their holiday EP a memorable event, acerbic and reverent all at once. TRISHA YEARWOOD, THE SWEETEST GIFT–For her first holiday album, one of country’s great singers eschewed the safety of seasonal favorites for a 50-50 mix, with half of the songs being newly penned by contemporary songwriters. Despite being no stranger to huge, soaring ballads, Yearwood here opts mostly for a low-key approach, and by and large keeps it country; in the end the sweetest gift is quietude.